The Maryland State Education Association, is the largest union and professional association in Maryland. We represent more than 74,000 educators and school employees who work in Maryland’s public schools. MSEA also represents 39 local affiliates in every county across the state of Maryland, and our parent affiliate is the 3 million-member National Education Association (NEA). Service Employees International Union (SEIU) is a labor union representing almost 1.9 million workers in over 100 occupations in the United States and Canada. SEIU is focused on organizing workers in three sectors: health care (over half of members work in the health care field), including hospital, home care and nursing home workers; public services (local and state government employees); and property services (including janitors, security officers and food service workers). 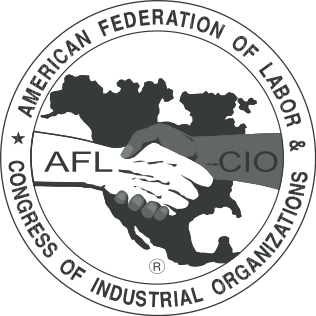 The American Federation of Labor and Congress of Industrial Organizations (AFL-CIO) is the largest federation of unions in the United States. It is made up of fifty-five national and international unions, together representing more than 12 million active and retired workers. The American Federation of State, County and Municipal Employees (AFSCME) is the largest trade union of public employees in the United States. 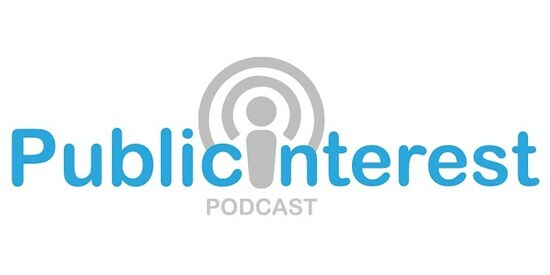 It represents 1.3 million public sector employees and retirees, including health care workers, corrections officers, sanitation workers, police officers, firefighters, and childcare providers. The Sheet Metal Workers' International Association was a trade union of skilled metal workers who perform architectural sheet metal work, fabricate and install heating and air conditioning work, shipbuilding, appliance construction, heater and boiler construction, precision and specialty parts manufacture, and a variety of other jobs involving sheet metal. The Sheet Metal Workers' International Association represented about 150,000 members. 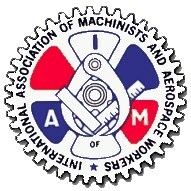 The International Association of Machinists and Aerospace Workers (IAM) is an AFL-CIO/CLC trade union representing approx. 646,933 workers as of 2006 in more than 200 industries with most of its membership in the United States and Canada.